I have good news for anyone looking to transition to a vegan-diet: you may be surprised to find out some of your favorite sweet-tooth snacks are already vegan-friendly! The items on this list are certainly not “healthy”, but you can definitely eat them while knowing you are not contributing to any animal abuse. 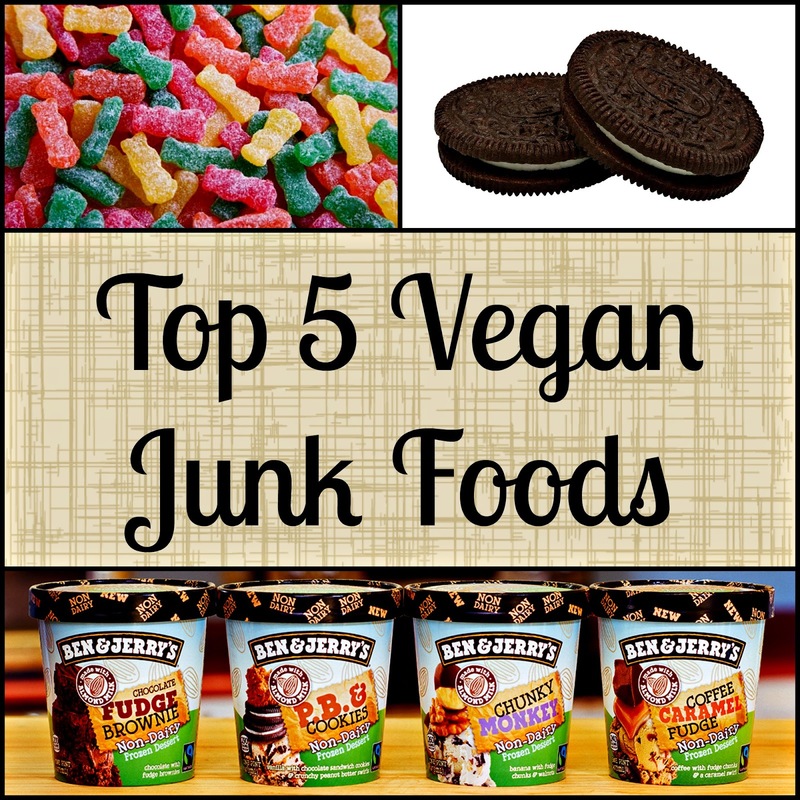 There are plenty more junk foods that are vegan, but these are my top 5! Recently, all Thin Mints are being made vegan! While other Girl Scout Cookies can be vegan depending on the company that produced them, Thin Mints are vegan across the board now! These were always my favorite cookies growing up, does it get it any better than this? Let’s be honest, who doesn’t love these little guys? Some candies contain gelatin, which is not vegan. However, Sour Patch Kids and some other candies can be surprisingly vegan! While most other flavors of Doritos are not vegan, these ones happen to be completely free of animal products! You can still enjoy this crunchy, tasty treat without harming animals. These are great for serving at a party when you want to show friends and family that being vegan does not have to be boring. Almost all flavors of Oreos (in the USA, anyway) are free of animal products. It is still important to double check the ingredients, but all of the ones I have tried are vegan! My personal favorites are mint and peanut butter; I could eat a whole pack at once! I am drooling while writing this, do I need to say more?